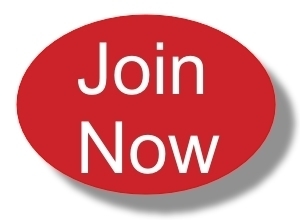 Peer reviewed journal, DOIs for articles, your chance to get published! Validation report and example questions available. Take a look at what the HAPS Exam can do for your teaching. Both A&P and Anatomy-only Learning Outcomes. Used by most major publishers and many college and university programs. HAPS offers many opportunities to learn. We have online courses through the HAPS institute that can serve as either professional development or can allow you to earn graduate-level course credit. We have Regional Meetings across the country that offer a single day of workshops and keynote speakers. 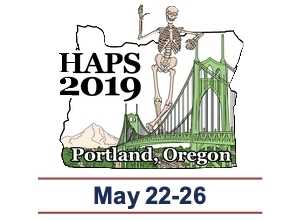 We have a four day Annual Conference that is packed with information and camaraderie with over 600 other A&P instructors. We have a very active online discussion groups of instructors, authors, and researchers working together to improve both content knowledge and student outcomes. Come join the conversation! 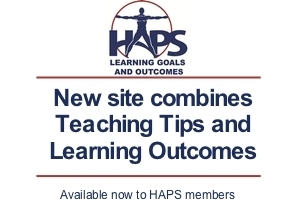 HAPS has teaching resources for all levels of A&P. Thinking about trying something new in the classroom? Before you begin, watch the five-part series on Successfully Completing Your Scholarship of Teaching and Learning Project. We have a complete set of learning outcomes for A&P 1 and 2 that are used by most major publishers to help with course redesigns. We have inquiry-based activities, in-depth information about solving accreditation problems, histology challenges, safety guidelines, and a host of other resources. Let HAPS help you move forward. The HAPS Exam is a fully validated and secure method to evaluate your students, instructors, and program. The Exam comes in several versions for A&P 1, for A&P 2, and the Comprehensive Exam for a full two-semester course. The Exam reports comparable data for different institution types and program types, allowing you to see exactly where you fit in. The exam allows you to independently verify the effectiveness of your faculty. 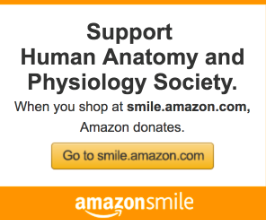 Donate to HAPS Our Supporters Careers What's New in A&P?